Design And Testing, ANSI, EIA, UL. Save time and money by not having to shop for several brands of batteries to confirm that your design works with common batteries. More weight than a battery, generating more force during drop testing. More durable than batteries when drop testing. Will not short circuit, leak or require storage-handling precautions. 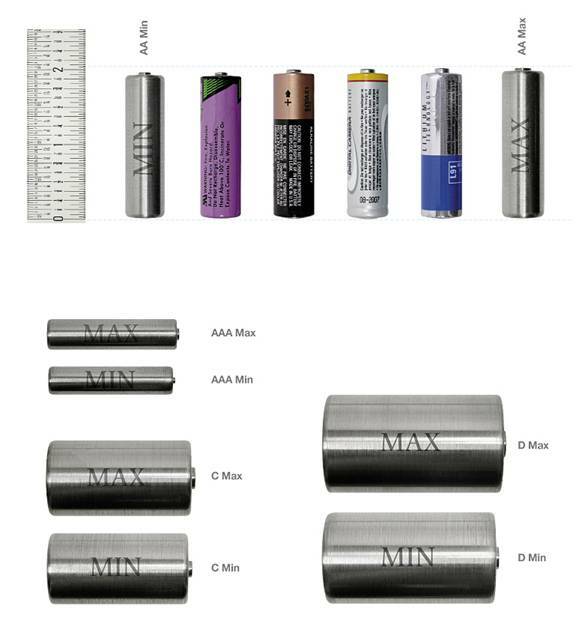 The minimum - maximum, length and width for common batteries is fairly wide. This UL standard determines if batteries are properly retained by a holder. 50 insertion-extractions of the battery are followed by contact retention, conditioning, vibration and jarring tests. Notable in the test procedure is temperature conditioning with unplated copper slugs. For vertical test the 2" steel sphere is dropped down a tube. Battery holder is mounted on rear of same board mounted horizontally. The major difference between the UL & EIA tests is that continuity is continually monitored during vibration and mechanical shock in the EIA specification. 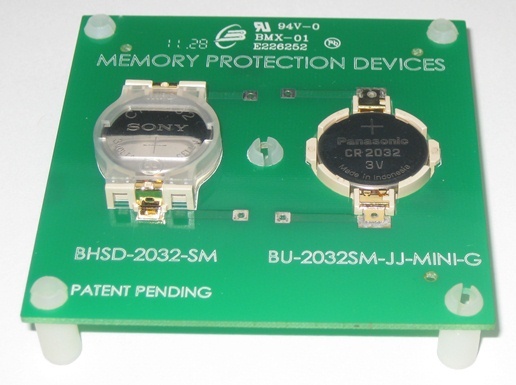 Minor differences are contact resistance and solderability requirements. The EIA also has separate requirements for coin cell holders and cylindrical battery holders, under EIA-540J0AA & EIA540JAB. Coin cell batteries are specifically exempted from the requirements. Limited requirements for a battery holder as the standards focus is on markings, circuit protection, harness wiring and limiting access to batteries without tools. Minor requirements for the battery holders connectors and wires flammability rating, V-0 and insulation heat resistance. Intrinsically safe apparatus, ANSI/UL. 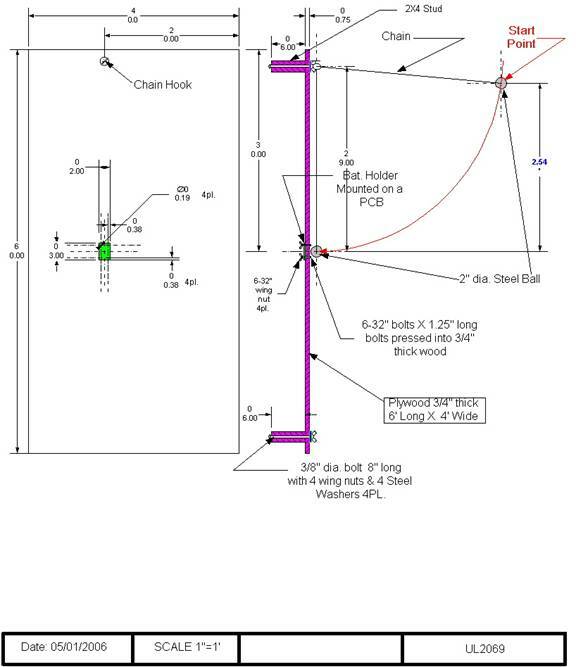 If you need to meet this requirement, contact our engineering dept or a professional industrial designer or engineering company. Batteries are considered safety critical components by compliance laboratories. A properly designed circuit with reverse current charging protection of lithium batteries is required, typically two blocking diodes in series or a voltage blocking component plus a current blocking component (diode-resistor combination). Plastic components like battery holders have safety requirements when part of a circuit containing any kind of battery or battery charging circuits. MPD's drawings contain the necessary information to make your collecting of documentation for product safety easier.